Address: Old No:13, New No:25, 7th Cross Street , Shasthri Nagar, Adyar, Chennai, Tamil Nadu, India - 600 020. 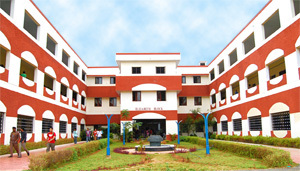 Hindustan College of Arts & Science was started in 1995. Since then, it has established itself as one among the prominent institutions in Tamilnadu State. Our aim is to provide the right learning atmosphere to all the students to help them set goals and reach them in keeping with the college motto “In pursuit of Excellence”.